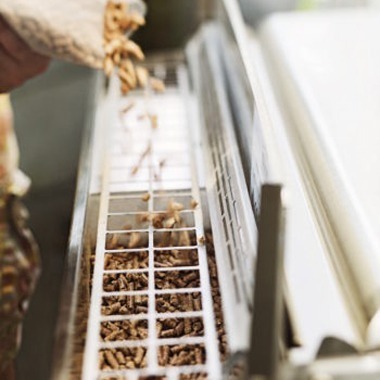 With options ranging from infrared to gas, it can be overwhelming for you to decide which type of grill is the best choice for you..
Let us help provide you with the information you need to make the right choice! 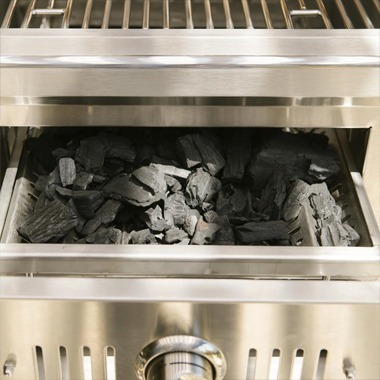 First and foremost, you need to understand the features of what each kind of grill has to offer. 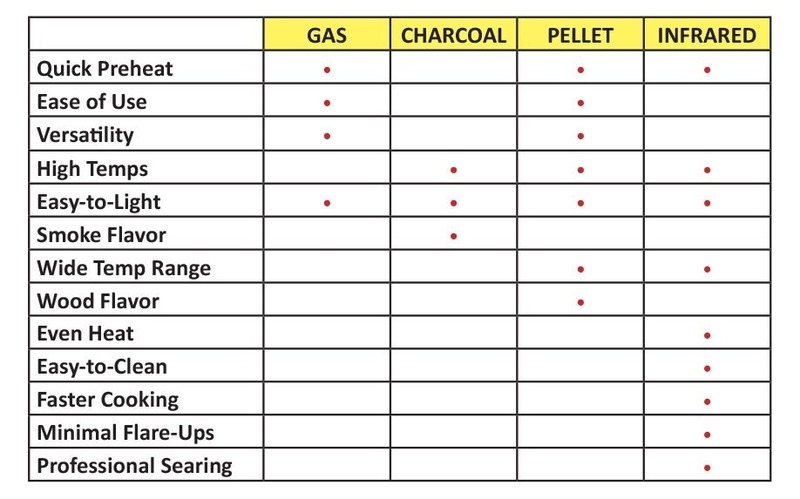 Take a look at the feature chart below! The next important step is to understand the warranties. To get a better idea of how the warranties compare, check out our warranty comparison chart. Once you get an idea of what you're looking for, you're ready to start shopping. 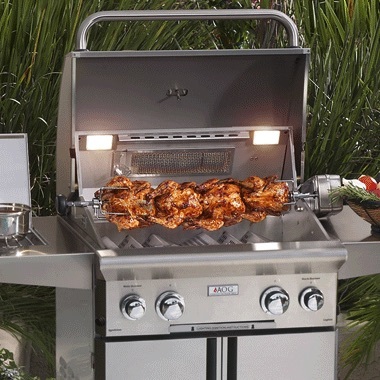 Check out all our featured grills by clicking here! 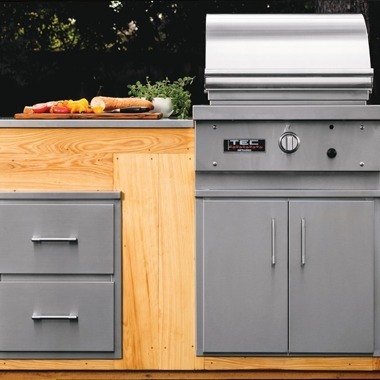 So, What Type Grill is Right for You?